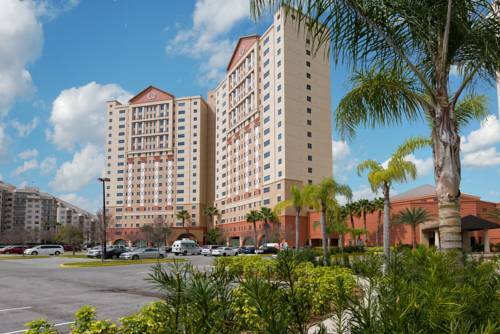 Westgate Palace Resort is an amazing two-tower lakeside Orlando Florida Resort that lies just off world-famous International Drive and within walking distance of Wet n Wild Water Park- Pirates Dinner Adventure and more than 200 specialty shops and family-friendly restaurants. Guests enjoy spacious accommodations that feature all the comforts of a fully furnished home and a multitude of onsite amenities including a heated outdoor pool and hot tub- Drafts Sports Bar and Grill- Pool Bar- game room- kids club- movie theater- marina with paddle boats- firepit- outdoor BBQ grills and picnic tables- fitness center- as well as all interior corridors and much more. Free scheduled shuttle to Disney- Universal- SeaWorld- and Orlando International Premium Outlets- plus Free Wi-Fi or upgrade to Premium Wi-Fi for an extra fee. Located in the heart of Orlando- just off International Drive behind Wet n Wild Waterpark and close to Pirates Dinner Adventure. Walking distance to many local restaurants and shops. Free shuttle to theme parks. I-Ride Trolley stop just out front of resort. Close to Orange County Convention Center- Universal Studios and Orlando International Premium Outlets. Craft beers- specialty drinks- gourmet burgers- salads and popular appetizers surrounded by large sports televisions. Delivery in-room or poolside.